These are more than outweighed by the “Pros,” but I’ll start with them anyway. 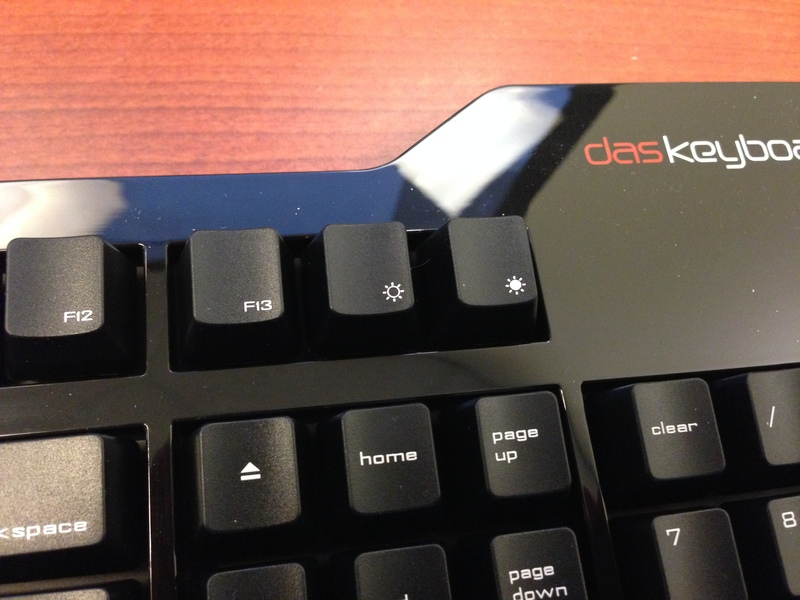 I bought it new from Das Keyboard, yet it came with no owner information. Normally, a keyboard wouldn’t need an owner’s manual or leaflet. But its cable has two USB plugs, and I had to go to Das Keyboard’s support pages to understand why there were two plugs. 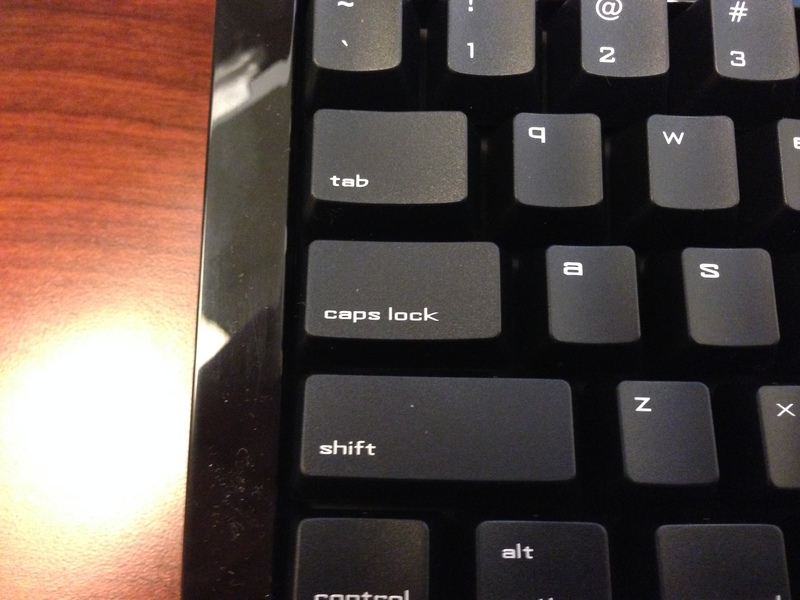 The caps-lock key doesn’t have an indicator. The caps-lock indicator is in fact all the way on the other side of the keyboard, under the logo. Putting the indicator anywhere but on the key itself is bad design. The key markings use a narrow, blocky, pseudo-computerese font that looks straight out of 1977. So these fonts looked goofy from the moment Das Keyboard started selling it. The keys are black, and the fn function icon color is a medium blue. The function icons don’t have enough contrast against the black keys. Now, it’s true that I don’t often need to refer to the fn icon. But I had trouble at first just finding the fn key! This isn’t a cosmic big deal, but a little more contrast with the black would make the fn functions more readable. Or, maybe, if the key plastic were a different color, that would help too. You’d expect all the keys on a designed-for-the-Mac keyboard would be in the same place as on Apple’s keyboards. But, no. 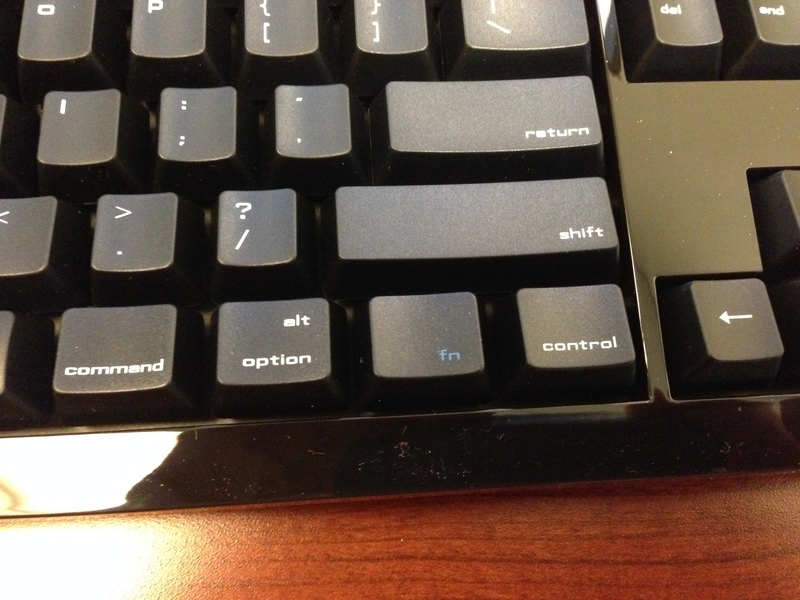 On an Apple keyboard, the screen brightness keys are F1 and F2. 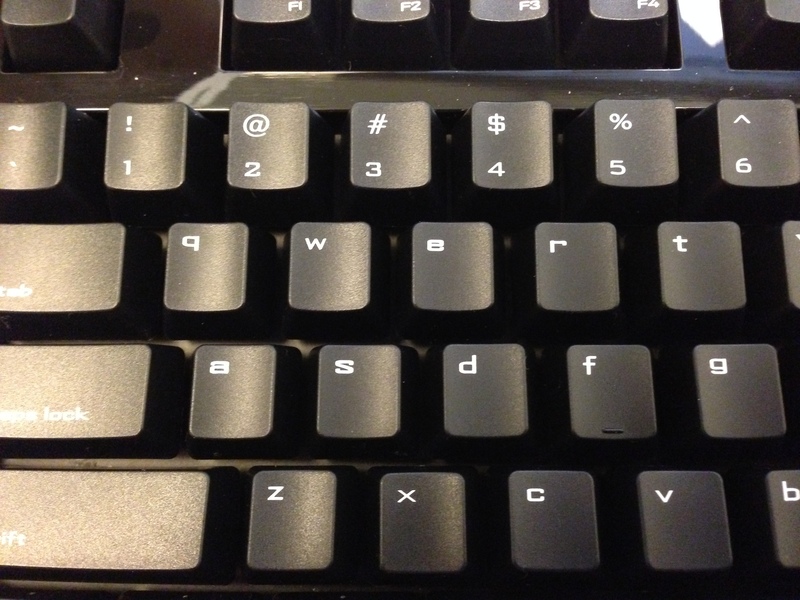 On this keyboard, they’re F14 and F15. This irks my muscle memory. It’s a little irritation, especially when switching between this keyboard and my laptop’s keyboard when I’m mobile. I don’t care for the stark black glossy plastic. Like the key cap font, it looks dated. Typing on this is much nicer than on Apple’s keyboards. I’d go so far as to say it’s a joy to use! After only half a day of getting used to a real keyboard again, my typing error rate has already declined. I type faster and with fewer errors, and that’s more important than all the “cons” put together. This feels more solid than Apple’s keyboard does. I know this keyboard won’t blow away. What was wrong with 1977? We both had hair then.